Mobile Bingo Bonuses have found a new home for those of us who love a great online gaming site, called Game Village Bingo. 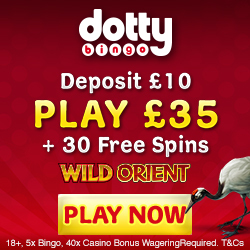 With a fantastic range of bonuses from the point you register, and a huge choice of high quality games including bingo, casino, scratch cards and slots such as Kittenball and Tutti Frutti. For those of you wondering how you’ll get time to play such a great range of games, we have the answer, you play on your mobile. Game Village Bingo is available on most smart phones including Android and iPhone plus Tablet devices, so you can play when and wherever you like. This makes those boring everyday tasks such as walking the dog or waiting for the bus that bit more exciting and hopefully rewarding. Plenty of bonus credit including Text Club, Facebook Likes and Birthday Treat. When you register with Game Village Bingo you’ll be welcomed with a 1st deposit 400% cash match bonus. So for example if you deposit £10 you’ll receive an additional £40 credit, making a grand total of £50. This credit is a great way for you to really try out the site before parting with any of your own money. As an additional welcome you will also have the chance to spin the fortune wheel, where you’re guaranteed to win an extra prize. On your 2nd deposit you’ll receive a 200% cash match bonus and if that’s not generous enough a 300% bonus for your 3rd deposit, all on a minimum £10. So on your first 3 deposits you could walk away with £90 (on the minimum £10), amazing right! Game Village Bingo offers regular monthly and weekly promotions such as Mine’s a Treble, Penny Pincher, Top of the Slots, One Two Three, 50 Ball Bingo and Seaside Bingo. Text Club – Where if you give Game Village Bingo your mobile number you’ll receive a £2 gift. Birthday Treat – Everyone deserves a treat for their birthday and that’s what you get at Game Village Bingo. You’ll receive £5 bonus credit if you deposit in your birthday month. Facebook Likes – If you’re a social media fan then make sure you check out their Facebook page, and if you click ‘Like’ you’ll receive £3 to use on additional gaming. We’re sure you’re eager to tell your gaming friends about this great site, so they can take advantage of the amazing welcome bonuses. But what if we told you that when they register and make their 1st deposit, both of you will receive £25. 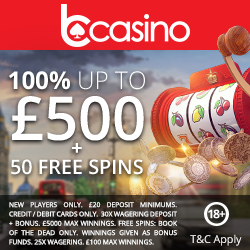 Then every week your friend makes a deposit, on the Friday you’ll receive £1 bonus and the chance to win the Refer a Friend Progressive Jackpot every month. The accept the usual banking methods including Credit and Debit cards, Paysafe Card, Neteller, Boku and U Kash. If you’re ready to register and claim your 400% 1st deposit bonus, simply head to Game Village Bingo.